What Should You Know About Types of Coffee Filters? Unbleached Coffee Filters: Are They Better? 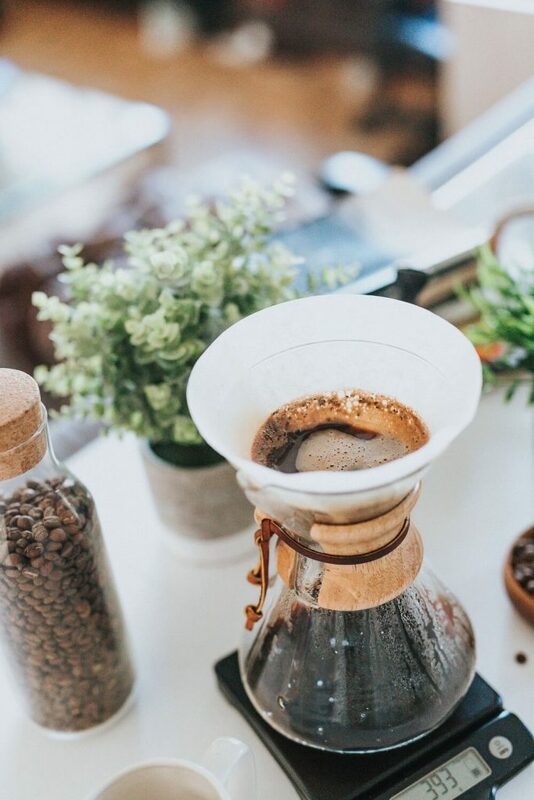 How to Make a Coffee Filter at Home? What Else Can You Use as a Coffee Filter? One of the coolest things about making coffee at home is that you can do whatever you want to make it taste however you want. There are so many coffee bean brands, equipment types, and brewing methods you can use! No wonder this can easily get you overwhelmed. But after reading this guide, you will have one less problem of choice. You will find out how to choose a coffee filter, what types and sizes you get to choose from, and even how to make your own one at home! So, let’s dive right in! 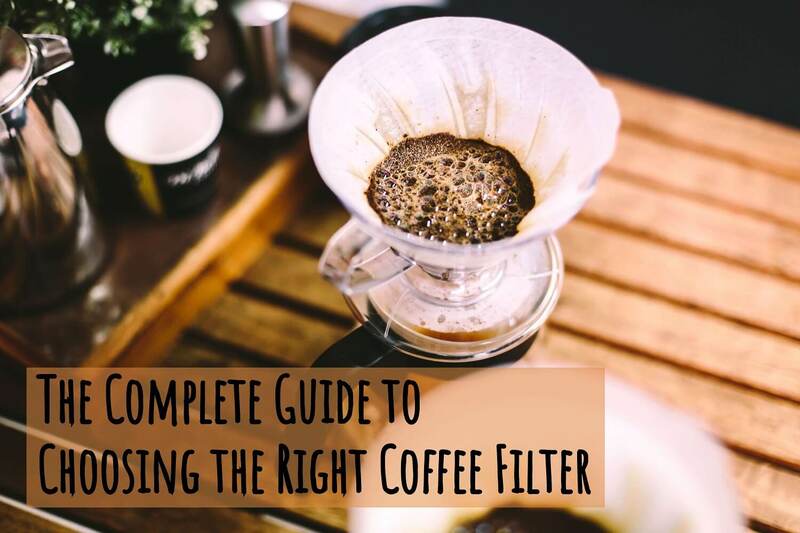 When trying to find the best coffee filter, your first task is to figure out which type would be perfect for your favorite brewing method and your personal preferences. You have countless options, really. But to make things clearer, we can categorize coffee filters by two criteria: according to their material and according to their style (shape). Here you have two options: disposable and reusable filters. The disposable ones are made from paper, which can be either white (bleached) or brown (unbleached). 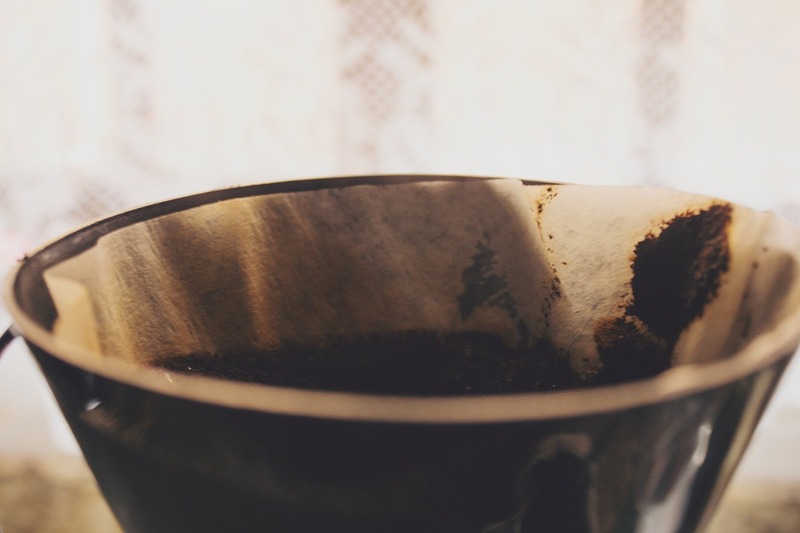 Paper coffee filters offer a ton of benefits. They are super easy to use and don’t require cleaning – you just throw them away after brewing. Also, they trap even the smallest coffee bits and fine sediments. This means you get to enjoy the smoothest beverage to the last drop. On the downside, however, paper filters tend to trap the precious coffee oils, thus making the beverage less flavorful. Besides, it isn’t the most environmentally friendly option. Some of them can also be rather flimsy and tear when brewing, allowing the ground coffee to get into your mug. And finally, some paper coffee filters can alter the flavor of your beverage. This, of course, depends on each type and brand (but can happen to anyone). Paper filters are better in terms of sanitary concerns. Because you use each of them once, there’s no chance for bacteria to grow or the residue to build up on your filter. When I use paper coffee filters, I rinse them with hot water before brewing to kind of cleanse them from any unwanted flavors. If you want to do the same, just put a filter into your brewing device, run some hot water through it, dump the water, add ground coffee, and brew. Now, the second type is reusable coffee filters. Typically, they are metal and may remind you of a fine sieve. There are also cloth filters, but they aren’t that popular. Reusable filters can help you save some money since you buy them more rarely than disposable ones. And they are eco-friendly (I personally appreciate this aspect very much). Metal coffee filters don’t trap the coffee oils. This results in beverages that are richer in flavor and chemical composition. However, reusable filters have some disadvantages too. First, they don’t usually trap fine sediment, meaning you might end up with that unappealing coffee residue at the bottom of your mug. Second, reusable coffee filters require cleaning after each use. And even though it takes just a minute, it can be really annoying for some users. A reusable metal filter can serve you for a very long time, so you get to save some money. Plus, you never run out of them, which means you can always get a cup of fresh coffee. And if you get yourself a couple of reusable filters, you can use one of them when the other one is dirty. I personally prefer reusable filters because I love the rich aroma they provide. And when it comes to cleaning, I use a very fine brush to get into those tiny holes. Just a couple of scrubs – and I’m done with cleaning. To choose the proper shape, you simply need to look at your brewing device. What kind of a funnel does it have? You can also read the manual to see which filter shape the manufacturer recommends. Cone coffee filters. These are wide at the top and narrow at the bottom. Basket-style. These are typically wider than cone ones and have a wide, flat bottom. Coffee filter bags. These ones aren’t that popular but might still come in handy, especially if you have a pour-over brewer (or make coffee in your mug). Coffee bags usually have two handles that can be attached to the rims of your cup. There are also filters that have a string at the top, which allows users to tight and close the filter (they are most suited for the French press brewing method). #1. This type is approximately 2 ¼ inches tall. It is suitable for around 1 cup of coffee, depending on how strong you want your beverage to be. I personally use the #1 coffee filters when I want to make espresso-like beverages and use smaller amounts of water. #2. These are around 3 ¼ inches tall. The #2 coffee filters accommodate enough coffee grounds to make 2-3 cups of coffee. #4. The #4 coffee filters belong to the larger group, as they are 4 ¼ inches tall and are used to make around 4-6 cups. #6. This is the most common larger size you can find on the market. Such filters are approximately 5 ¼ inches tall and can be used for 8-12 cups of coffee at a time. When shopping for paper coffee filters, you will come across two types: brown and white. White paper filters are bleached, while brown ones are in their “natural”, unbleached state. Manufacturers mention whether the filters are bleached or not on the packaging, so you will always know what you get. When it comes to the difference between bleached and unbleached coffee filters, many people argue about the taste. Some claim that unbleached filters add some unpleasant notes to the flavor. I personally don’t see any difference. To me, both types of filters add some slight hints of paper scent, which is why I prefer using metal filters. And when I only have the paper ones, I rinse them with hot water first. So, my advice for you is: try them both and see for yourself. Maybe you have sharper taste buds and will feel like unbleached filters can give you a purer flavor. Or maybe you won’t see any difference, just like me. Keep in mind that thicker paper filters are usually more expensive. But trust me, they are worth the price at least because a thicker filter is not likely to tear during use. Plus, it will hold the water longer, allowing for full coffee extraction and rich flavor. Another thing you might want to consider is the safety aspect. Many coffee drinkers avoid bleached coffee filters because they know that manufacturers use either chlorine or oxygen to bleach the paper. While the oxygen process is considered safe, chlorine seems like a potentially harmful agent to many people. The amount of chlorine used to bleach coffee filters is too small to pose a health threat. Besides, the majority of American manufacturers have given up on this method. Bleached filters aren’t good for the environment. Bleaching implies an extra manufacturing process (and hence more pollution). Just something for you to think about if you consider yourself an environmentally responsible person. If you don’t really know what disposable coffee filters to pick, I have a couple of recommendations. Even though I prefer reusable coffee filters, these paper ones satisfy me fully. They don’t add that paper-like scent to my beverages. To be honest, I rarely even rinse these filters before use, even though I have such a habit when it comes to paper filters. What’s great about these particular filters is the value for money they offer. Seriously, this is a real steal, given that you get a hundred for only $5.50. Besides, there are 3 sizes available, plus tabbed and untabbed filters. These paper filters are quite thick, which eliminates chances of tearing. They fit into cone brewers and pour-overs. 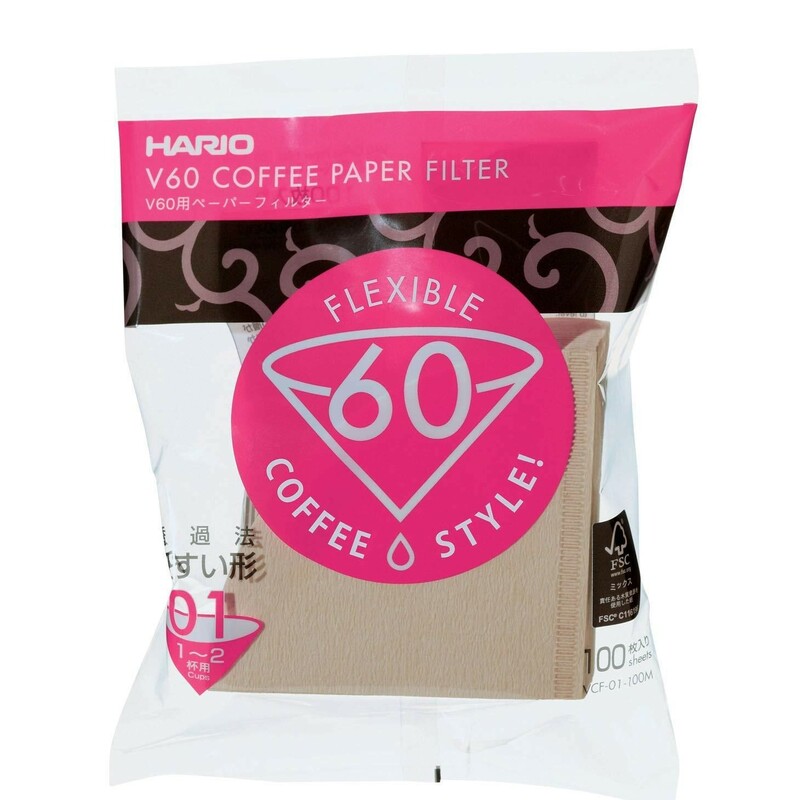 Overall, the V60 filters are rather flexible and can be used with different types of brewers. 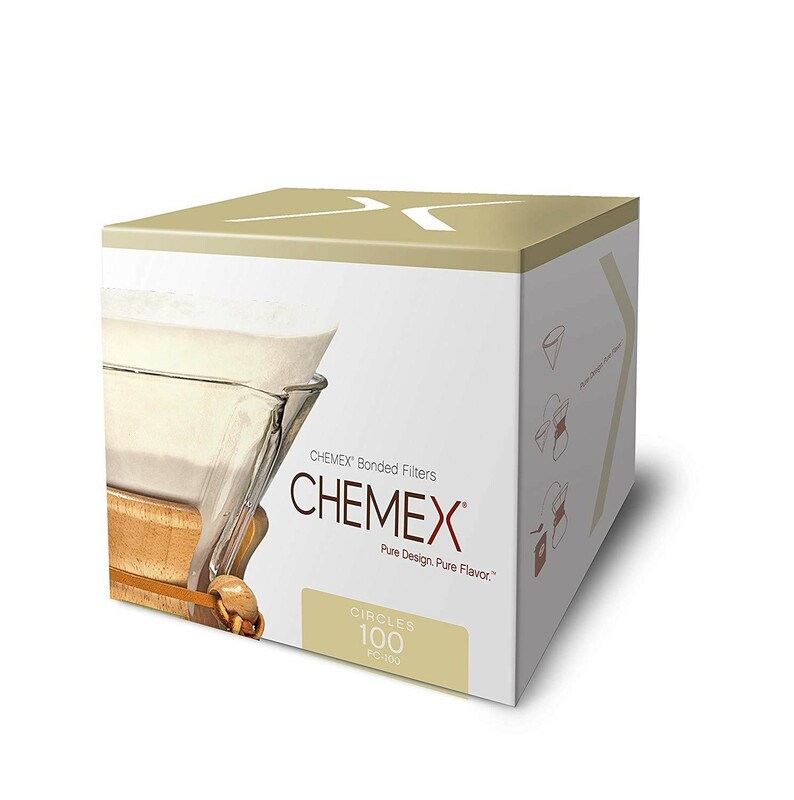 Another great option for your coffee are these Chemex filters. You can actually use them not only in Chemex machines but also in many other pour-overs and cone coffee makers. These paper filters are pre-folded for convenience and they stay in place nicely, so you don’t have to worry about spills and slips. These filters are bleached (using the oxygen method). There are also unbleached ones, but they cost a bit more. Now, this pack is more expensive than the previous option but definitely worth the price. You get a pack of 100, plus these filters are quite large and can brew around 4-5 cups at a time. Additionally, they are extra thick. You won’t find the grounds in your cup and will enjoy a smooth, rich beverage. What if you want a cup of hot, fresh beverage but have run out of coffee filters? Don’t worry, you still can make coffee without a filter. You just have to DIY – do it yourself. The most popular (and the simplest) way is using a paper towel, as it’s easy to find one in your kitchen. Paper towels serve as a nice coffee filter substitute when you don’t really have any other choice. You have at least two different ways to use it. First, you simply line your brewer with a paper towel (or a few) and place the ground coffee on top. When you use a paper towel as a coffee filter, make sure it is thick enough. You see, paper towels are usually very thin and tear easily when wet. It’s better to use a couple of layers. This way, no coffee grounds will get into your mug. Additionally, make sure that your paper towels are not scented and don’t have any colored patterns on them. After all, you want a pure tasting cup of coffee, not something mixed with chemical colorings or flavors, right? Toilet paper. Even though you might feel a bit embarrassed using it as a filter, it works like a charm (pretty much like paper towels). However, you need to use more, and preferably the two-ply paper to avoid tears. You can shape it like a filter or simply layer it inside the filter holder. A fine sieve. Now, it probably won’t fit into your brewing device, but at least you can hold the sieve over it (or over your mug) and pour hot water on it while it holds the coffee grounds. You can also steep the grounds in a jar or a container and then pour the beverage into a mug through the sieve. A piece of cheesecloth or muslin. It will hold the coffee grounds just fine. Plus, you can use it multiple times (just make sure you wash it after each use). A cotton sock. 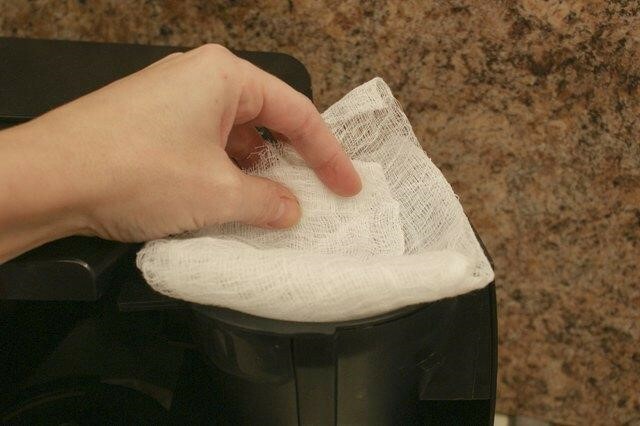 This might seem ridiculous, but a nice clean sock will work like a coffee filter bag just fine. Again, you can use it multiple times. Simply place your grounds into the sock, hold it over your mug, and pour hot water over the coffee grounds. A French press or a stovetop Moka pot. You are lucky if you have one of those. You see, these two simple devices already have filters in them, which means you don’t even have to come up with an alternative to brew coffee. A French press mimics the pour-over style method but allows grounds to steep, resulting in strong, rich coffee. And Moka pot uses pressure to force the boiling water through the grounds, allowing them to extract and reveal their rich aroma. How do you brew your coffee? And what filter do you use for it? Let us know in the comments below!